What Do Intensive Care Unit Nurses Do? Lorry Schoenly, PhD, RN is a nurse writer and educator with over 25 years of experience. She has been certified in five different clinical specialties including critical care and emergency nursing. 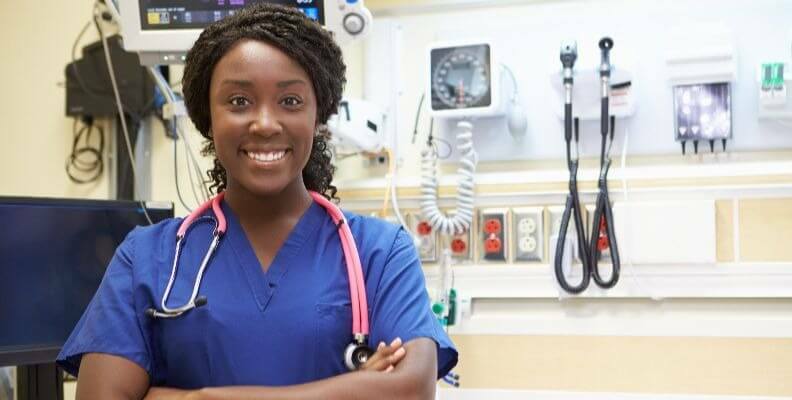 Starting as an associate degree registered nurse, she continued her schooling in traditional and distance-learning settings to obtain a BSN, MSN, and PhD in nursing while working full-time and raising a family. Lorry teaches nursing in a variety of settings including webinars and online nursing courses. Intensive Care Unit (ICU) nurses work with critically ill patients recovering from medical conditions, surgical procedures and traumatic injury in specialized units in the hospital setting. The generic term often used is critical care nurse. Nurses working in small hospitals may care for all of these types of patients in a multi-dimensional unit. Those who work in larger institutions may specialize in only one type of patient. Large hospitals may have a medical intensive care unit (MICU) for critical conditions such as sepsis, respiratory failure, and end-stage renal failure; a surgical intensive care unit (SICU) for postoperative management of critically unstable patients; and a trauma intensive care unit (TICU) or shock-trauma unit for patients in unstable condition recovering from automotive or other traumatic injury. Although the reason a patient is admitted to critical care varies, all intensive care units have a few things in common. The patients are in an unstable or life-threatening situation and require close nursing supervision. The nurses are highly skilled to assess and manage rapidly changing conditions. The environment is loaded with high-tech equipment to continuously monitor body functions and deliver specialized treatments. Nurses usually provide care for one or two patients. Some situations require two nurses for a single patient. Nurses who enjoy pathophysiology and pharmacology thrive in this environment. Nurses who work in critical care are also comfortable trouble-shooting machinery. There is a lot of family involvement in the ICU, especially when the condition is likely to lead to death. Nurses working in ICU situations must be comfortable discussion highly sensitive issues with patients and families, and often help them deal with grief and loss. Although most critical care nurses work in a hospital setting, some also work in helicopter transport or on specialty interventional diagnostic units. Some critical care nursing positions require background in the field, especially during economic downturns when positions might be few. This was the case when I entered critical care nursing three decades ago. To get started, I landed a position in a cardiac step-down unit where patients were transferred once stabilized after a heart attack. I was able to gain experience reading cardiac rhythms and working with a variety of equipment. Nurses wishing to enter the specialty might gain needed experience through a position like that. Also take advantage of any critical care education program offered by your institution’s education department. Some employers will allow you to attend the critical care course even though you are currently working elsewhere. Then you will be one-step closer when an entry-level position opens.